Unlit Llandecwyn viewed looking north towards the combined Pont Briwet road and rail timber viaduct over the Traeth Bach. Llandecwyn station is some distance from the locality giving it its name with Cilfor being the nearest village. Penryndeudraeth Station is out of shot beyond the viaduct. 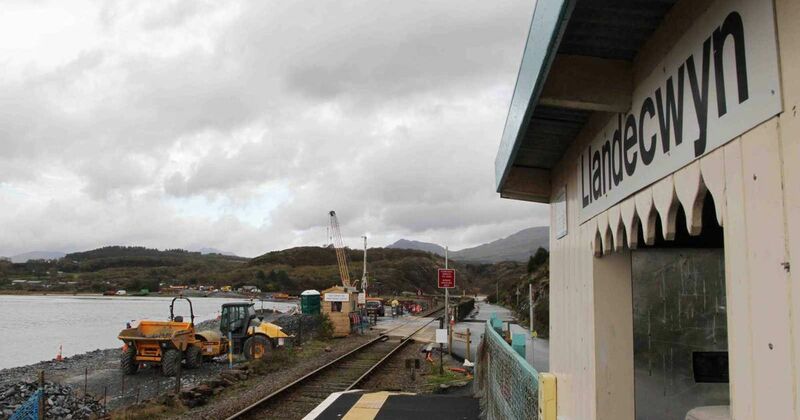 The station at Penrhyndeudraeth opened with the Cambrian Coast line in 1867. This is a view looking back to Pont Brewit toll bridge and Llandecwn in February 2008. The station house is now a private residence.